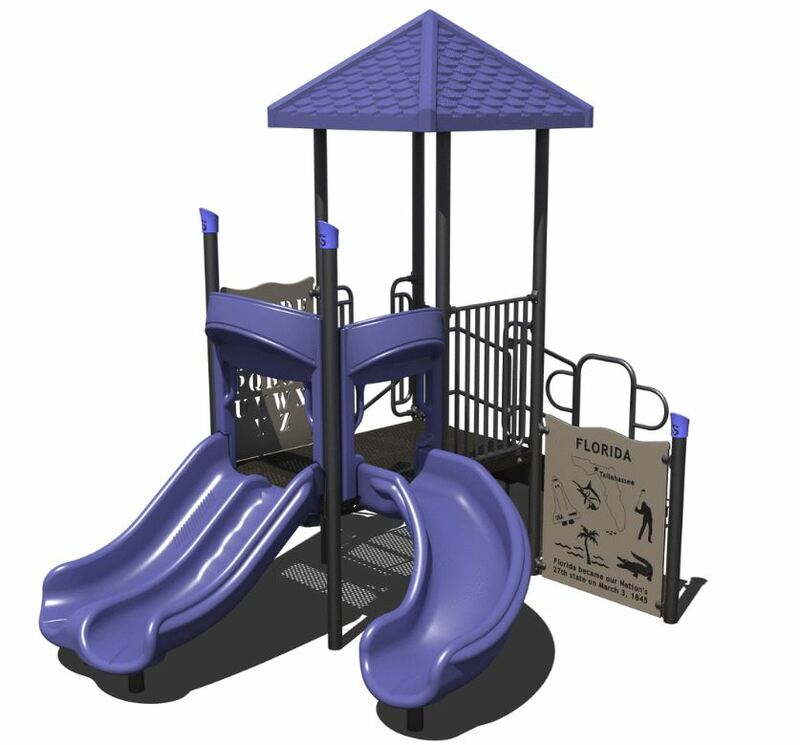 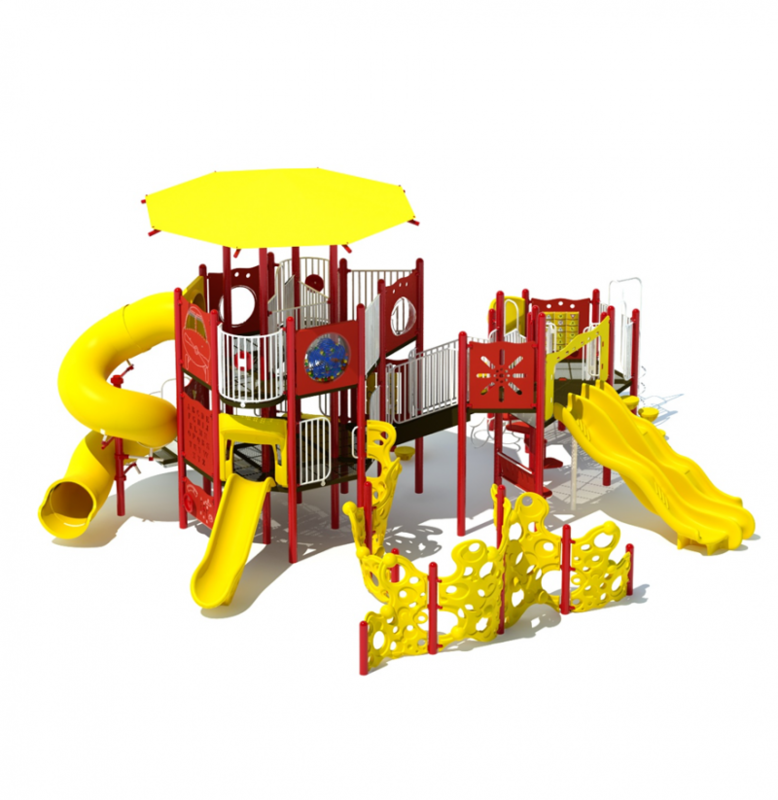 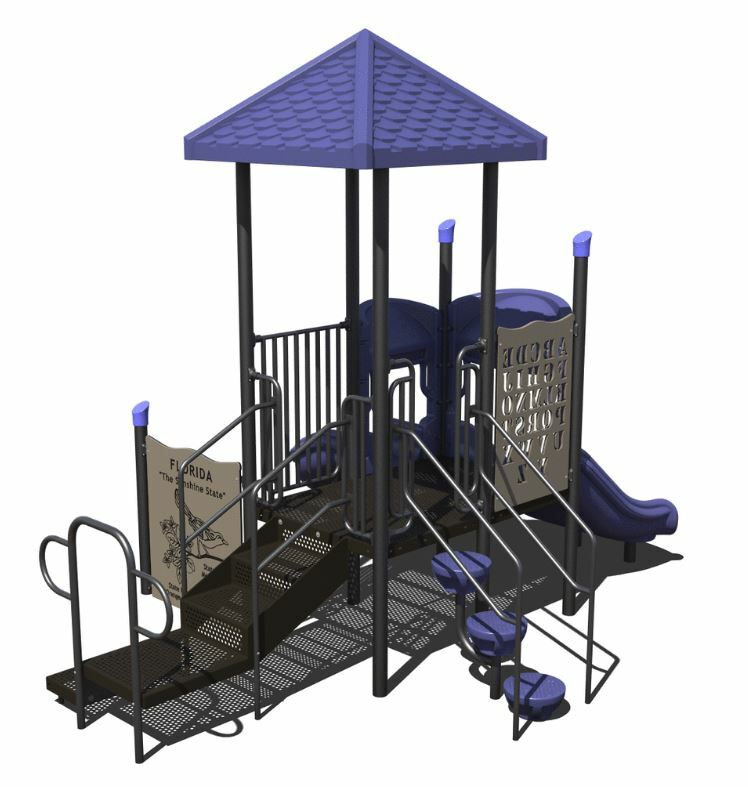 Set out your play area with this compact commercial playground without shortening the fun! 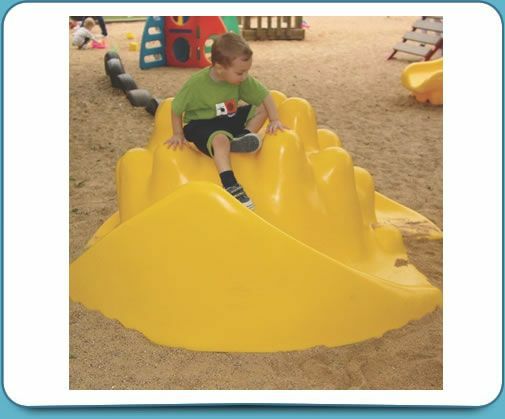 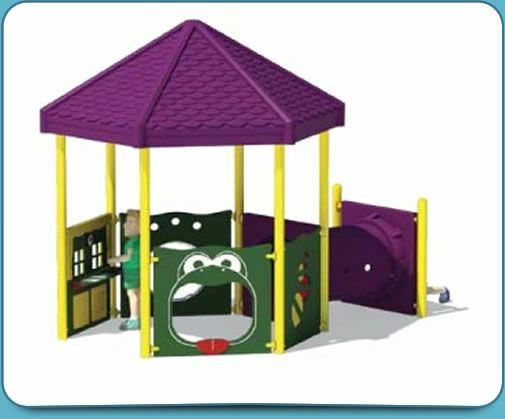 This playground offers two slides (one a curved, and one that is a double slide), interactive activity panels for the children to learn as they play, and lily pad steps to add in extra fun. 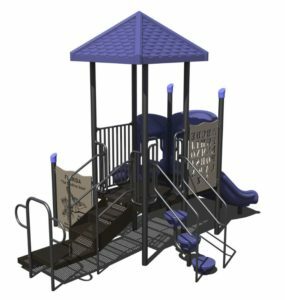 The playground is topped with a square shingle roof, which will help protect children and equipment from the sun’s harmful UV rays. 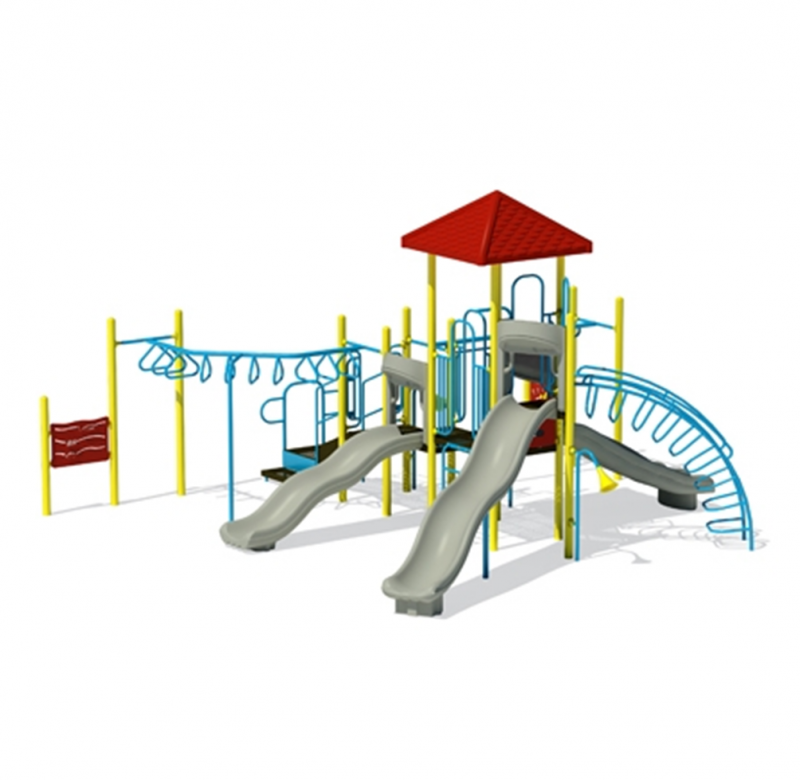 Also with the ADA transfer station, it will allow children of all abilities to play and enjoy the fun.